The present parish church of Logie was erected in 1826. No record of the original grant remains extant, but it is mentioned in 1275, and in 1590 it was so dilapidated that it was ordered to be rebuilt. It was dedicated to St Luag, and belonged to Balmerino Abbey prior to the Reformation. The present parish church is probably on the site of pre-Reformation church, although no evidence for such was found during investigation. Visited by OS (JLD) 23 October 1956 and (WDJ) 4 June 1970. 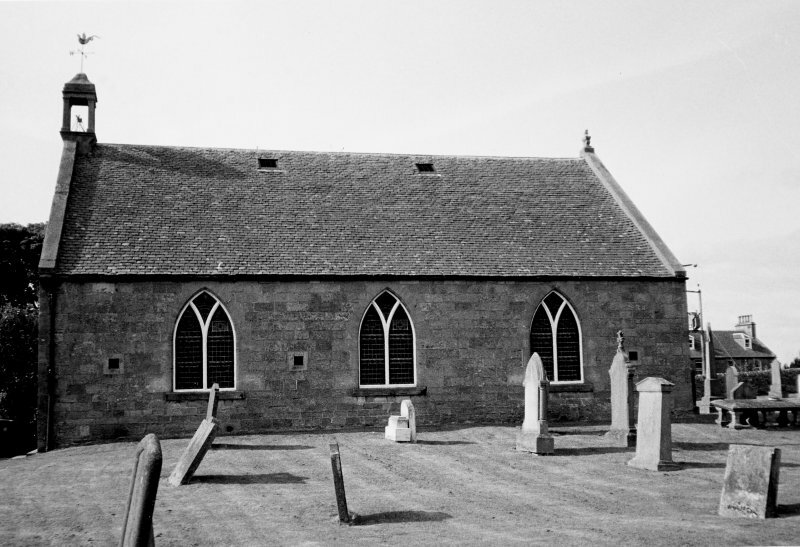 Following on from work carried out previously (Farrell 1998), surveys were made of several churchyards in Fife. NO 404 204 89 memorials were recorded. Report lodged with Fife SMR and NMRS. Sponsors: Fife Council Archaeology Unit, Marc Fitch Fund, RCAHMS.